Nunavut's Department of Health is advising women who are pregnant, or may become pregnant, to avoid ringed seal liver due to its high mercury content. Mercury can affect the brain development in children and unborn babies. Representatives from Nunavut's government, the University of Ottawa, and Nunavut Tunngavik released the results Thursday. 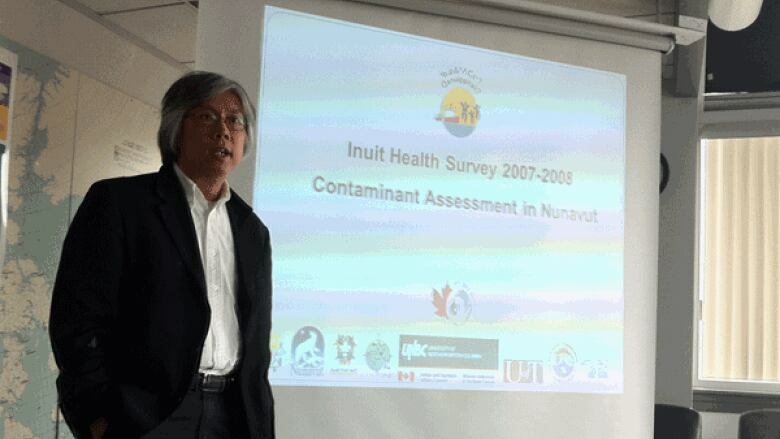 The research was collected as part of the Inuit Health Survey. Dr. Geraldine Osborne, Nunavut's chief medical officer of health, said almost half of the mercury in women of childbearing age comes from eating even small amounts of ringed seal liver. Researchers say the contaminants come from pollution in the atmosphere. "Most of the contaminants are not because pollution occurs here, it's really as a result of global pollution," said Dr. Laurie Chan, a toxicologist with the University of Ottawa. The department of health says other adults don't need to worry about mercury in ringed seal liver. Osborne stressed that country food is still safe and nutritious and encourages residents to continue eating traditional meats.